Bojana and her husband have made Bozeman, Montana their home for many years, but they weren’t ready to embrace the rustic design aesthetic that’s so prevalent there. 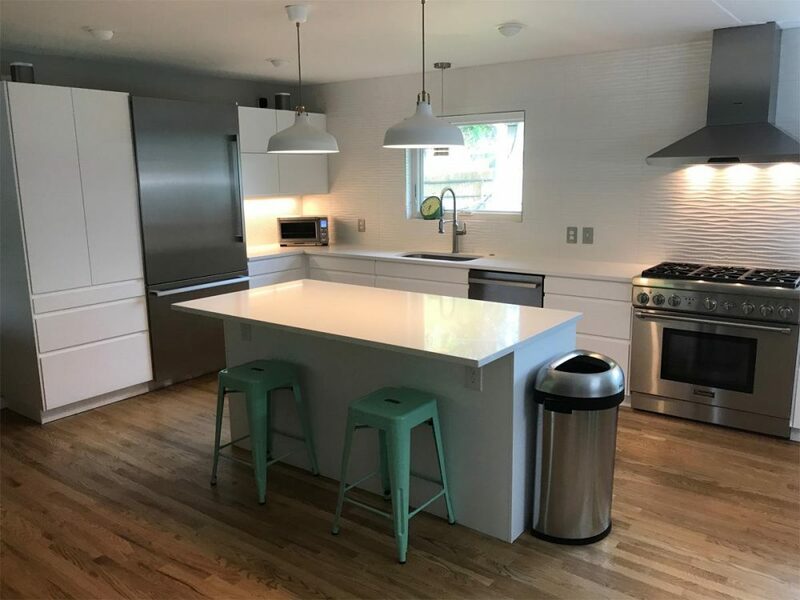 When they decided to build a new home, Bojana knew she wanted a major kitchen update, and she knew just where to go to find the clean, modern lines she loves—Ikea. And here’s the finished product—no more cramped, rustic kitchen for Bojana! “Glad Lucia” – Happy Lucia Day! Every December 13, Swedes celebrate St Lucia with a candlelit procession of singing “star boys” and girls, lead by a girl wearing a crown of candles. Chag Sameach to our readers from Inspired Kitchen Design! Hannukah’s eight days of song and celebration began at sundown on Sunday. There’s still time to get your kitchen ready for eating latkes, spinning the dreidel, and lighting the menorah before the Festival of Lights ends on Monday. The ADEL white doors and AKURUM cabinets from IKEA were discontinued by the manufacturer after the date this article was published. 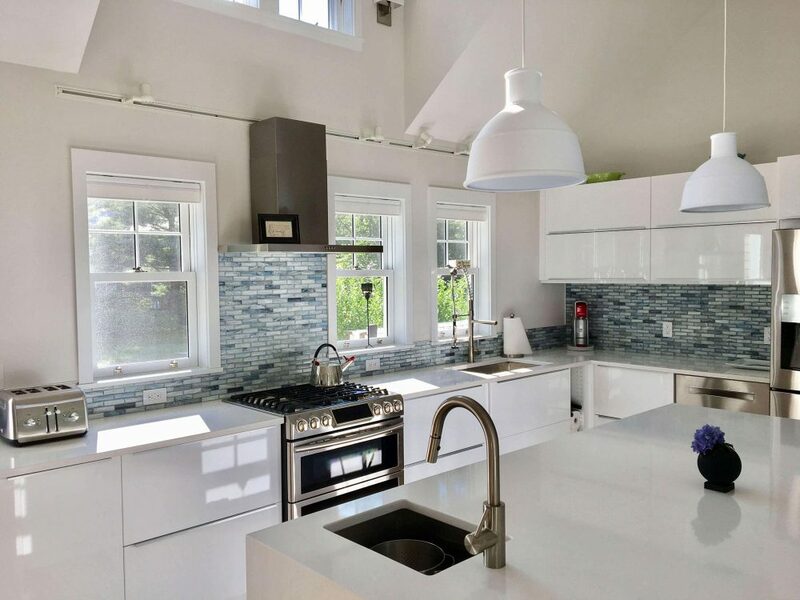 White kitchens are timeless, airy and elegant. No wonder they’re so “in” right now. They work wonderfully for maximizing space visually and for styling because they’re very versatile. Have we also mentioned that the style is affordable? 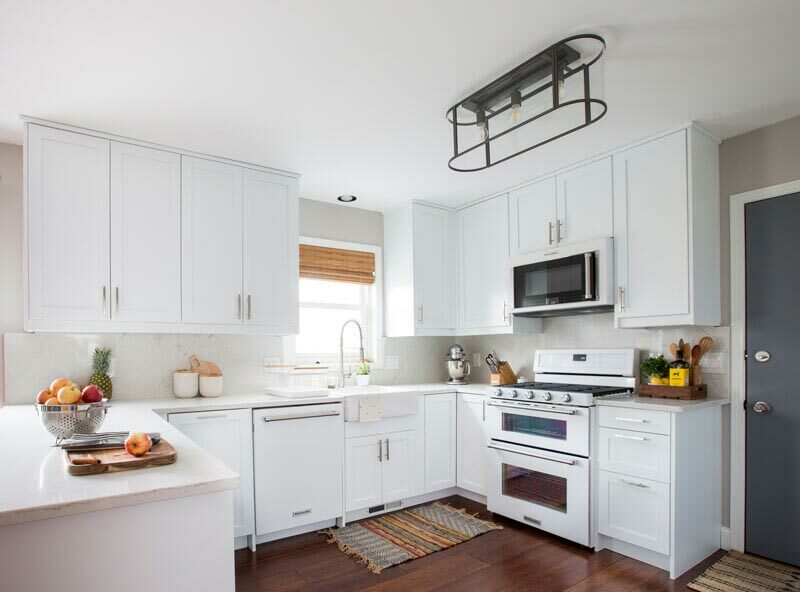 Here’s a secret that’s not-so-secret: IKEA white kitchens are often less expensive than traditional stained kitchens. 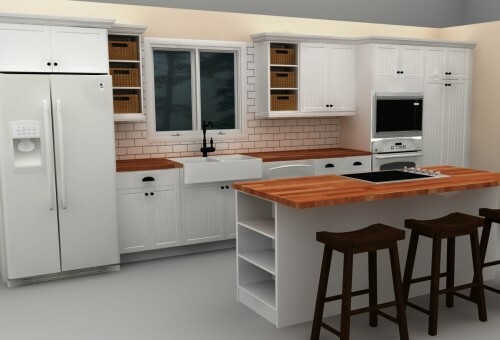 This remodel with an IKD design is only $3,930 for ADEL white doors and AKURUM cabinets from IKEA plus all fittings such as toekick pieces, panels, door dampers and trim. Our customer sent us a sketch of her kitchen walls with measurements and hinted appliance and outlet locations. Remodeling your IKEA kitchen is a big task, so you want to make sure you get it right. 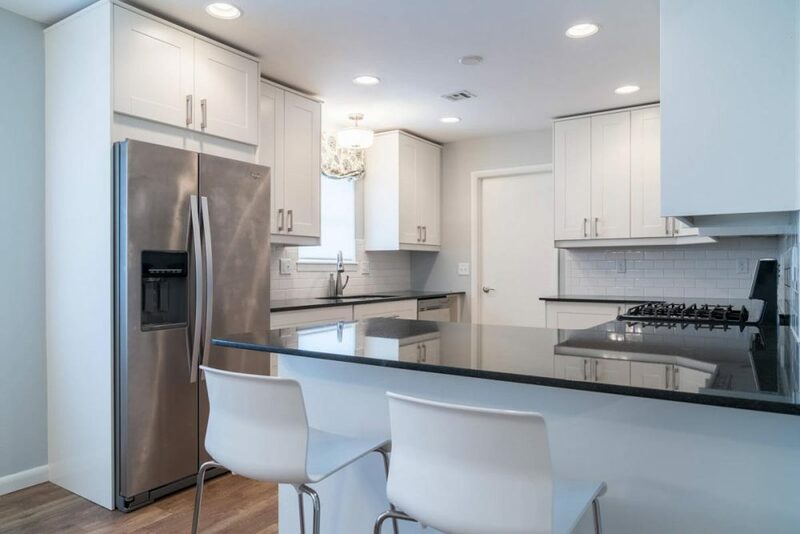 By taking a look at these hot kitchen design trends, you’ll make sure to have a kitchen that’s not only functional but also beautiful. Whether you’re a gourmet chef or a harried single parent, there’s a design idea here for you. Before you start tearing out the old and putting in the new, think of how you can improve your IKEA kitchen design with a few changes. This useful island is a complete secondary work area with a cooktop and a secondary sink. Door style used: LIDINGO white.